Below is the ticket information for Tigerfest 2018. 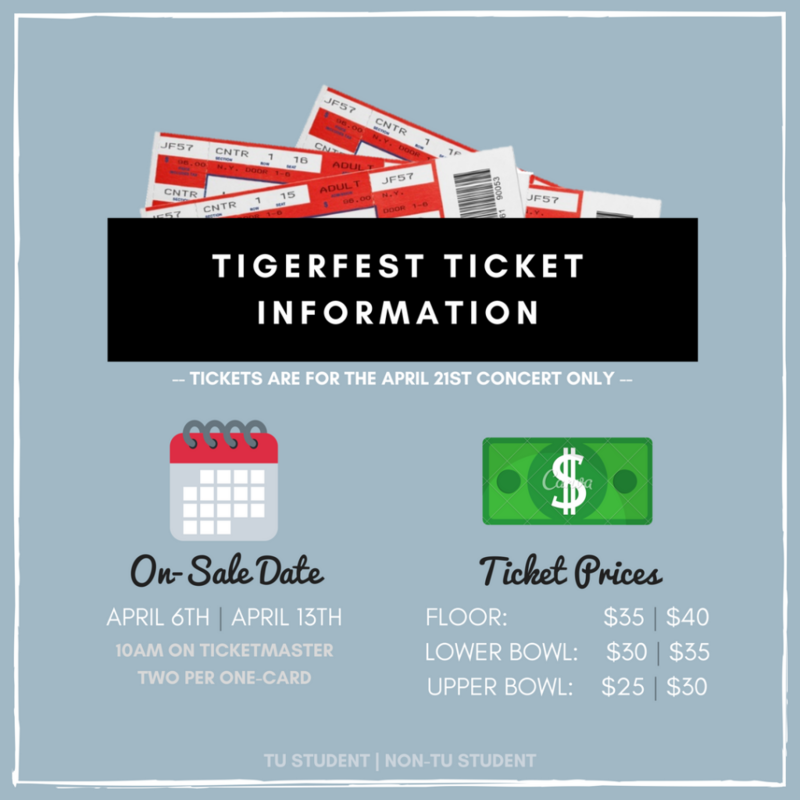 The Tigerfest 2018 concert is April 21, 2018. On sale Friday, April 6, 2018 at 10 am ONLY on Ticketmaster.com. Tickets WILL NOT be available for purchase at the University Union Box Office. 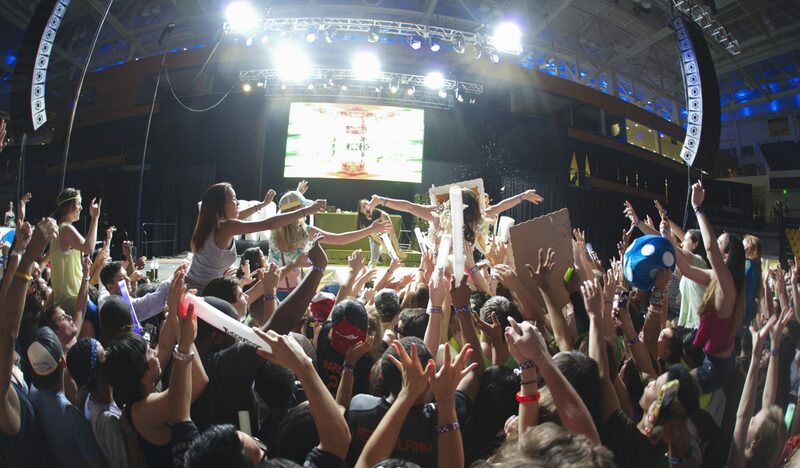 All students purchasing tickets MUST use their TU ID as the access code. This identification number can be found on your OneCard. Students can purchase a maximum of 2 tickets. On sale Friday, April 13, 2018 at 10 am on Ticketmaster.com. TU students who have already purchased tickets will also have the opportunity to purchase more tickets along with the general public.